Students were welcomed by Professor Rami Abboud (Head of Department of Orthopaedic & Trauma Surgery and Associate Dean for Learning & Teaching) and staff members at an informal and relaxed event kindly hosted by Mr John Dent (retired Consultant Orthopaedic Surgeon) and his wife, Frances, at their home residence on Saturday 15th September. Marquees housed a hot buffet lunch supplied by local Indian cuisine restaurant Sizzlers, and students and staff mingled and discussed their respective cultural backgrounds. “It’s always an exciting time welcoming our new arrivals. 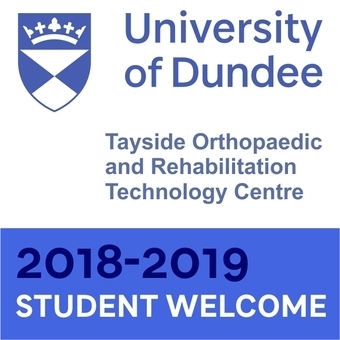 I’d like to say a huge welcome to all our new students for 2018-2019. It’s an especially exciting time for students to be studying at the University of Dundee as it’s currently experiencing a cultural boom with the newly opened V&A museum, the redevelopment of the City waterfront, and an explosion of interest and tourism from around the world. I sincerely hope that you’ll enjoy your time with us and gain a valuable qualification in doing so. During your time in Dundee you’ll no doubt forge lifelong friendships through your shared experiences with your fellow students and in doing so you’ll become valued Alumni in years to come. Our student numbers are increasing with every academic year and it is a great testament to the small dedicated team here at the TORT Centre that we continue to offer such diverse and novel research-based courses to this number of students, each year. I would like to thank Mr John Dent and his lovely wife, Frances, for opening the doors of their garden to welcome both students and staff; it was a thoroughly enjoyable couple of hours and the food from Sizzlers was simply delicious - highly recommended”.